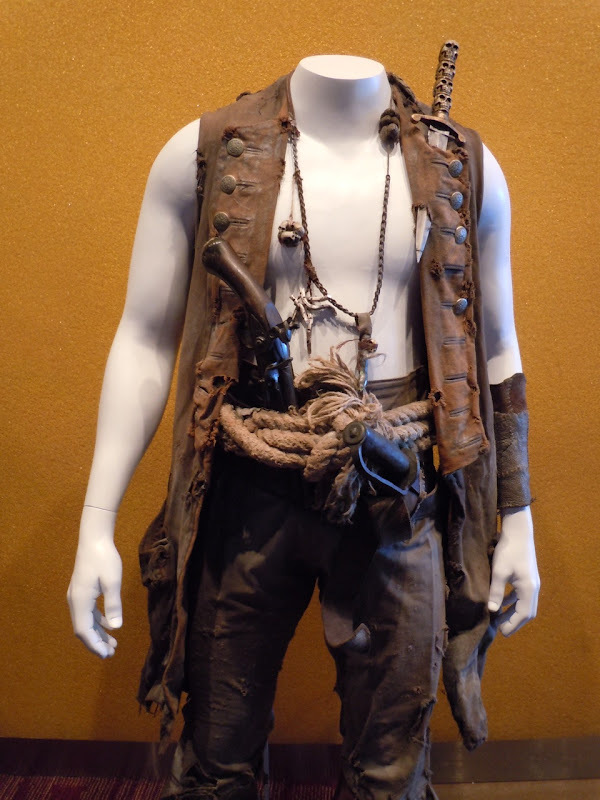 In the fourth Pirates of the Caribbean movie, not only does 'Captain Jack Sparrow' have to contend with mythical mermaids, but zombies too. 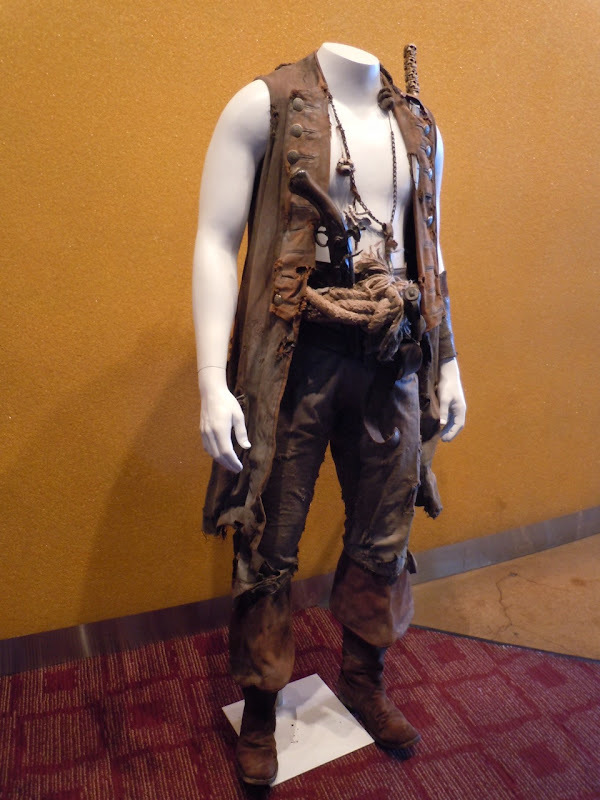 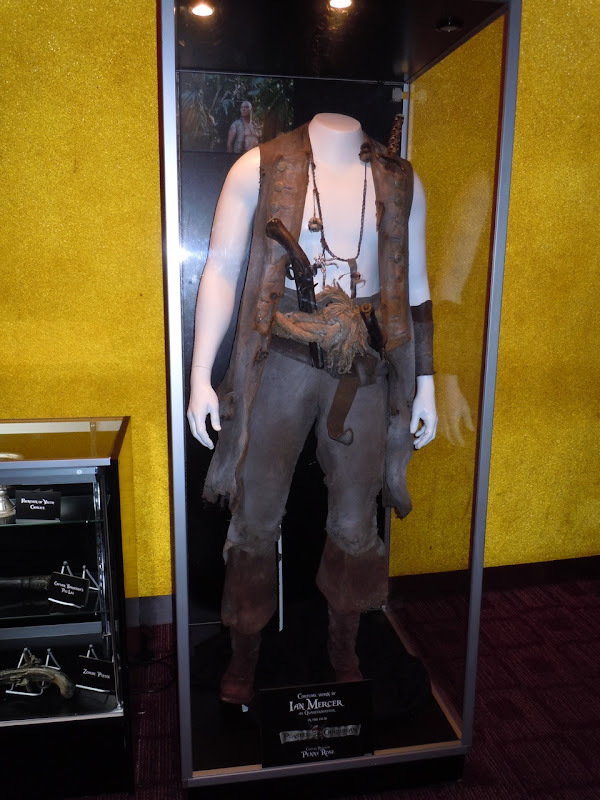 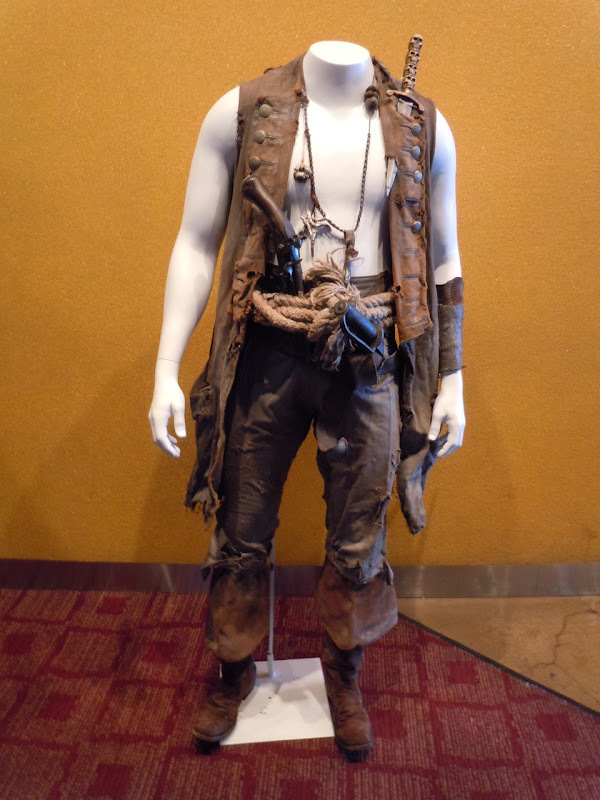 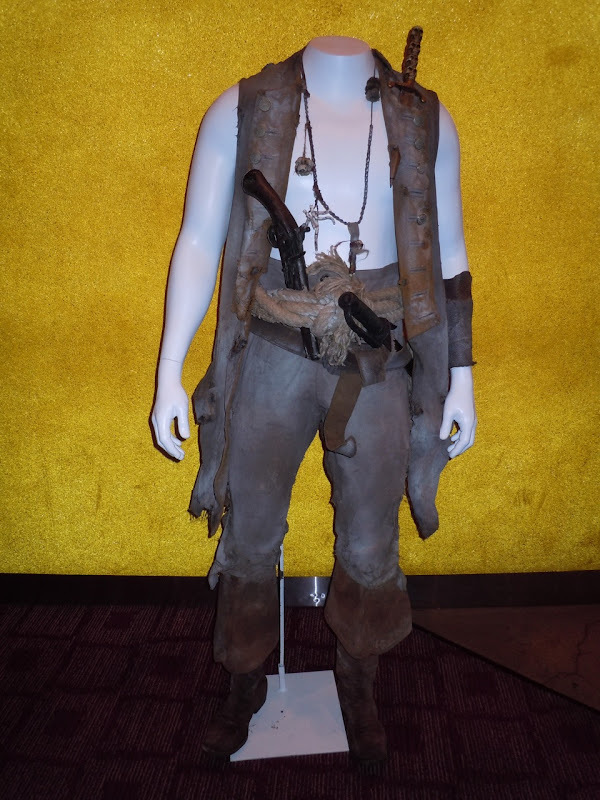 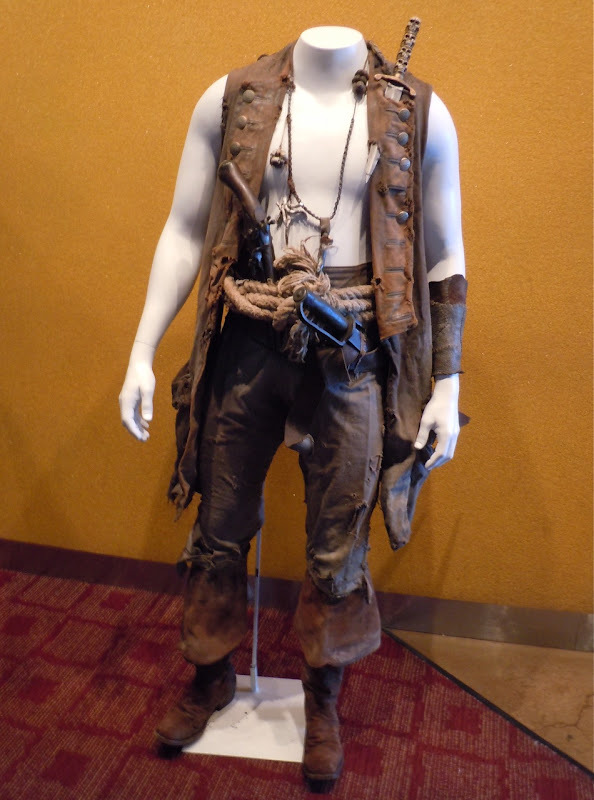 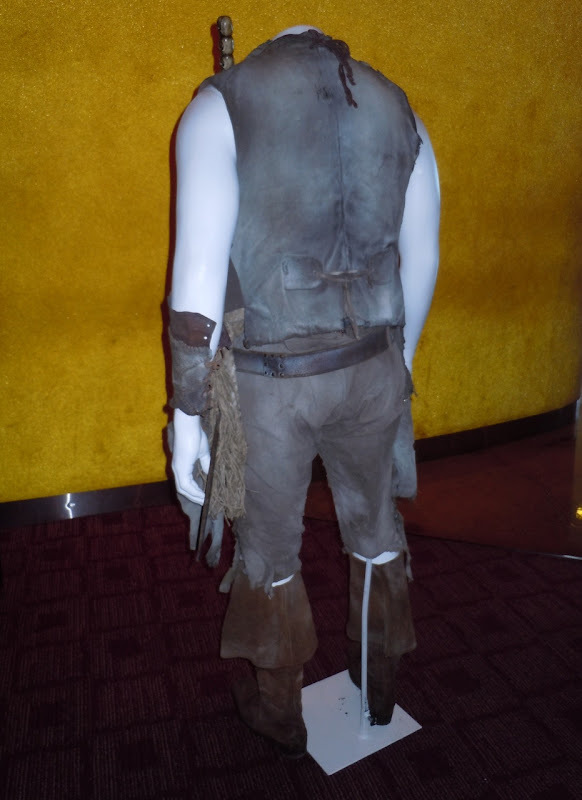 This is the actual movie costume worn by Ian Mercer as the 'Zombie Quartermaster' in On Stranger Tides and was photographed on display at ArcLight Sherman Oaks on April 29, 2011 (installed by Olson Visual). 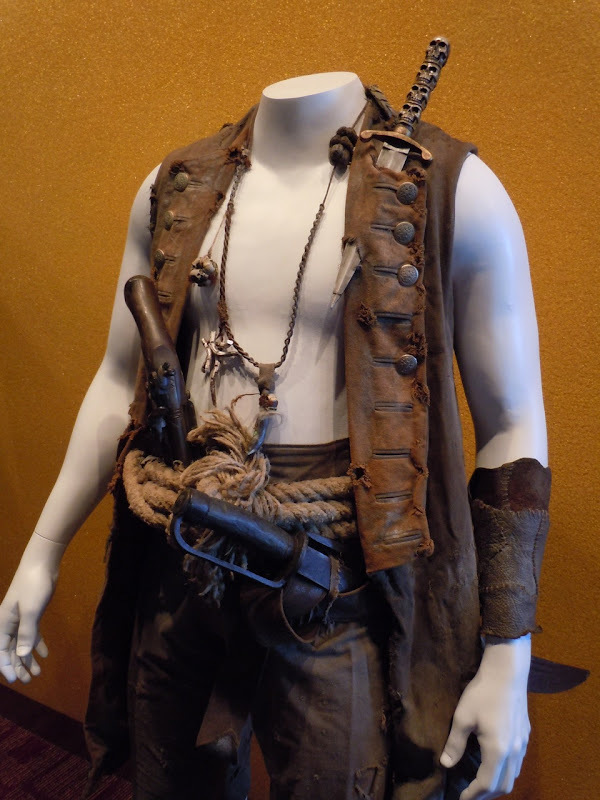 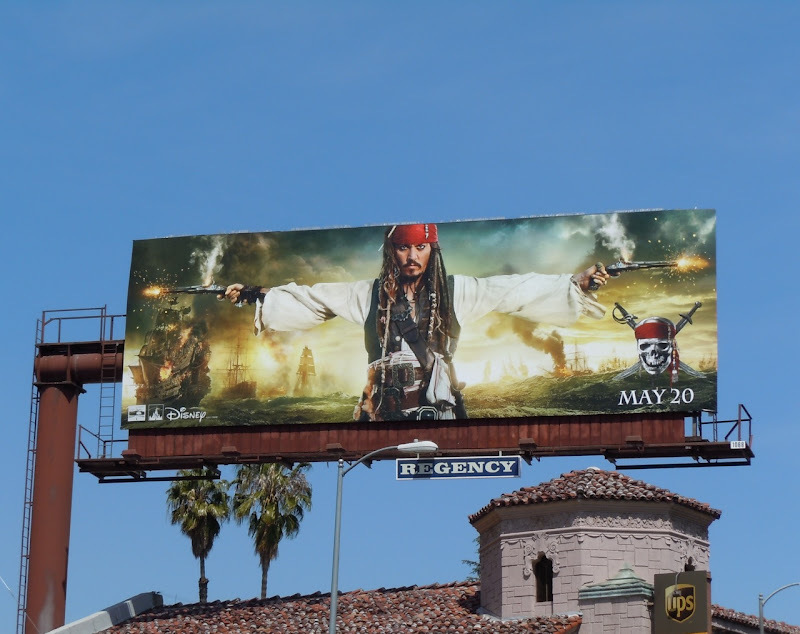 The costumes in the movie are designed by Penny Rose, who has been responsible for Costume Design on all four of the Disney Pirates of the Caribbean movies. 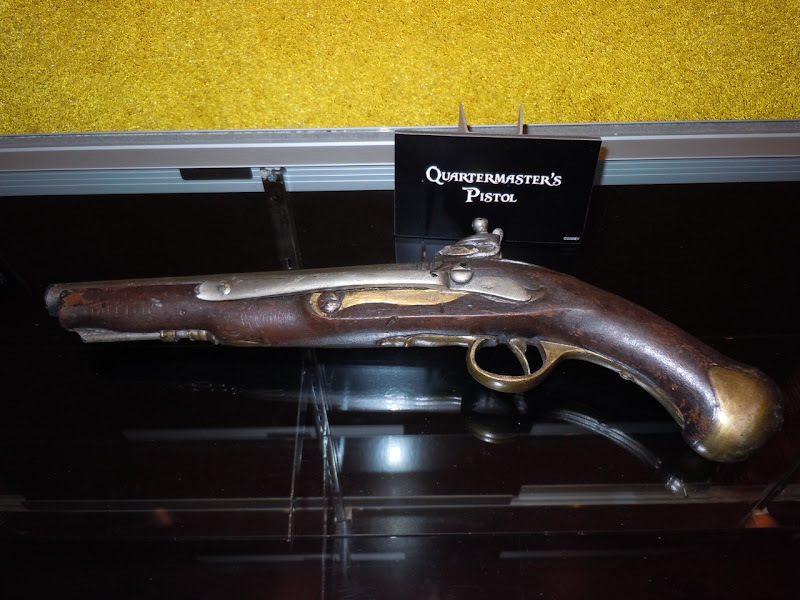 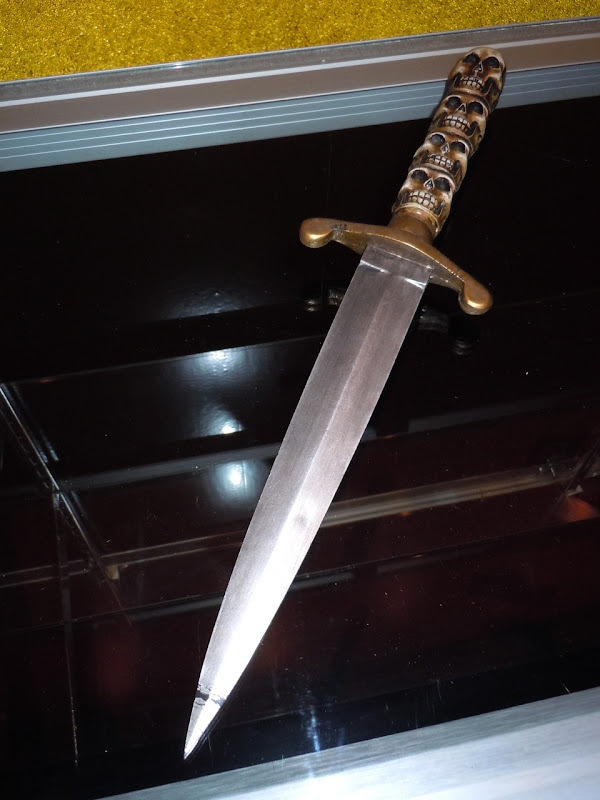 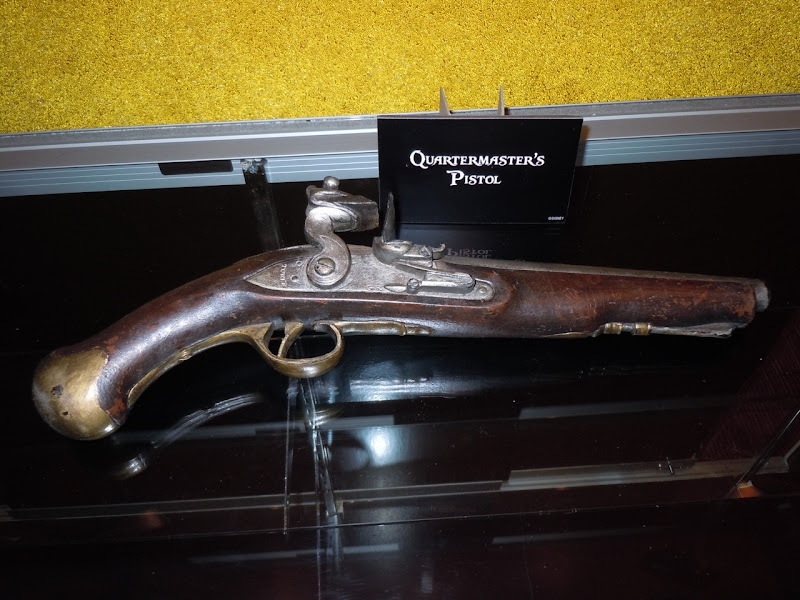 In addition to the detailed costume, the movie exhibit also had original props on display, including the Quartermaster's signature weapons. 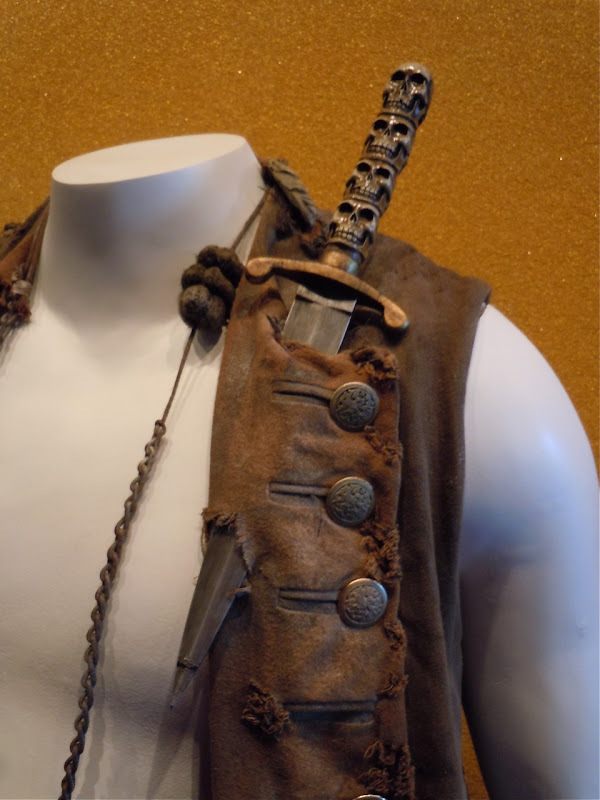 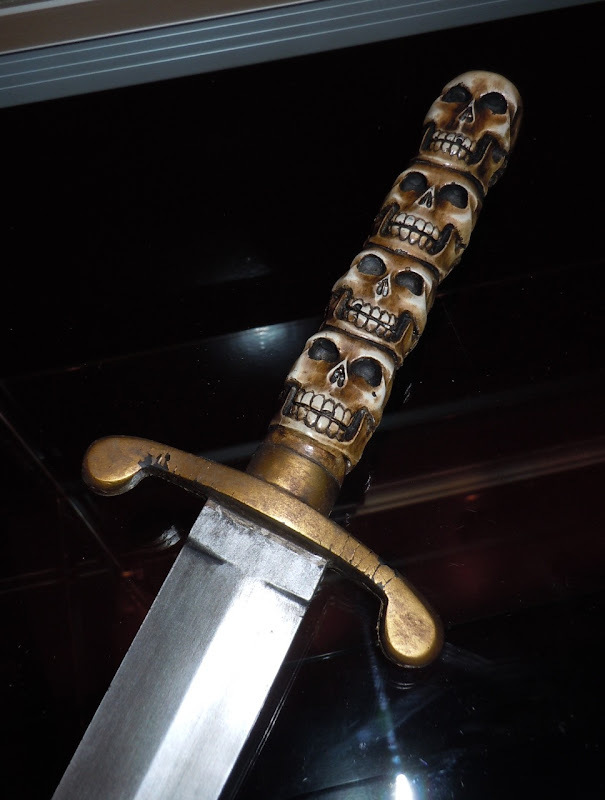 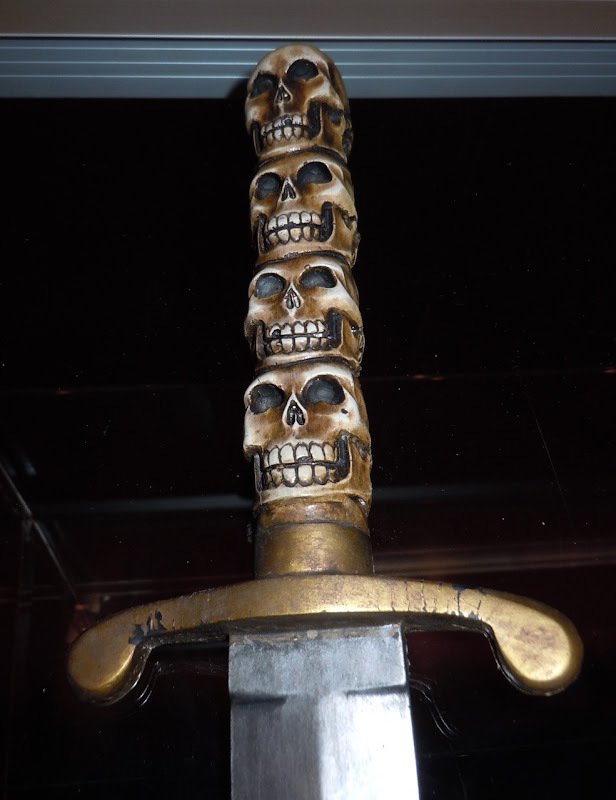 He wears this skull handled knife high up on his left lapel, whilst this is the pistol he uses in the movie. 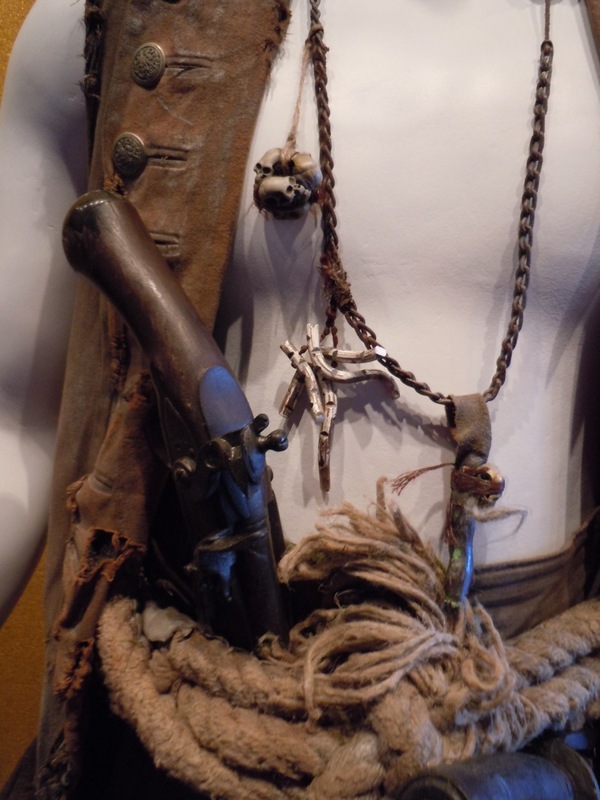 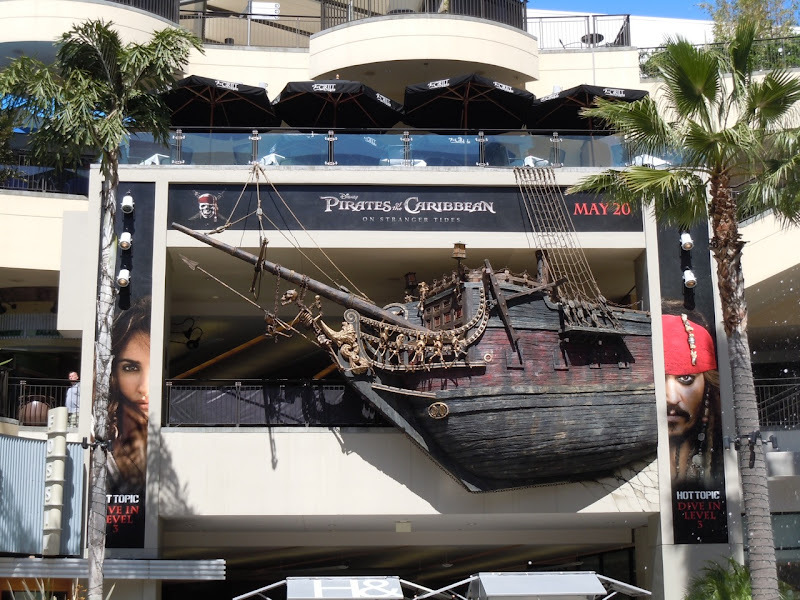 Be sure to come back soon for even more cool movie props from Pirates of the Caribbean: On Stranger Tides. 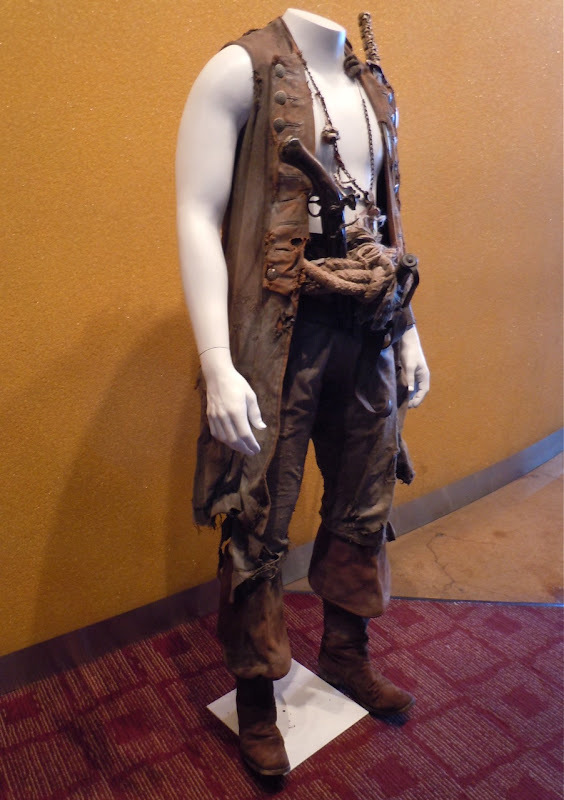 at the Hollywood & Highland Center in L.A.
Hopefully these more detailed photos of the Quartermaster movie costume will help you if you're planning to design your own Cosplay or Halloween costume. 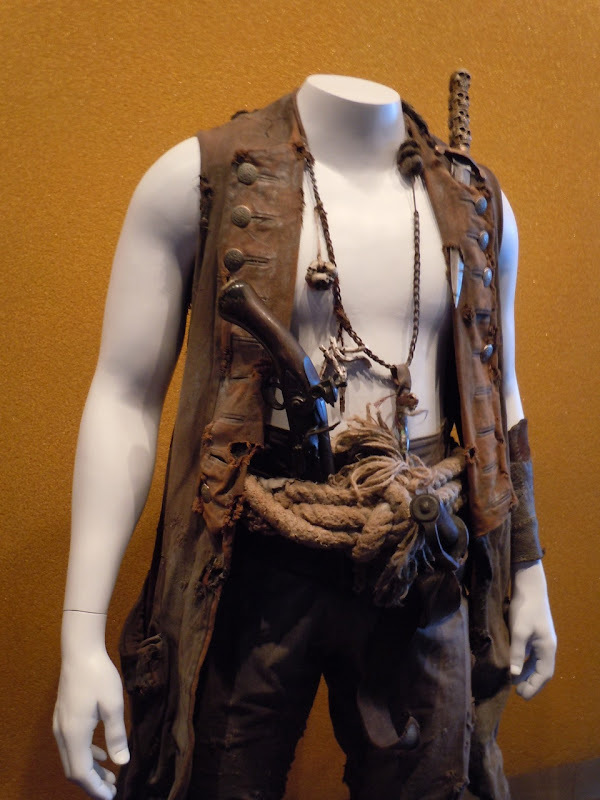 If you're a fan of pirates movies, be sure to check out these Flying Dutchmen crew costumes from Dead Man's Chest and Captain Barbossa costume from The Curse of the Black Pearl.